Millet & Hammer Design Studio produces beautiful hand-built furniture and accessories, and offers additional services such as interior design branding, and design consulting for your home or business. Our favorite styles include mid-century modern design, modern industrial, rustic accents, and contemporary farmhouse pieces, but we cater our work to fit our clients’ dreams. 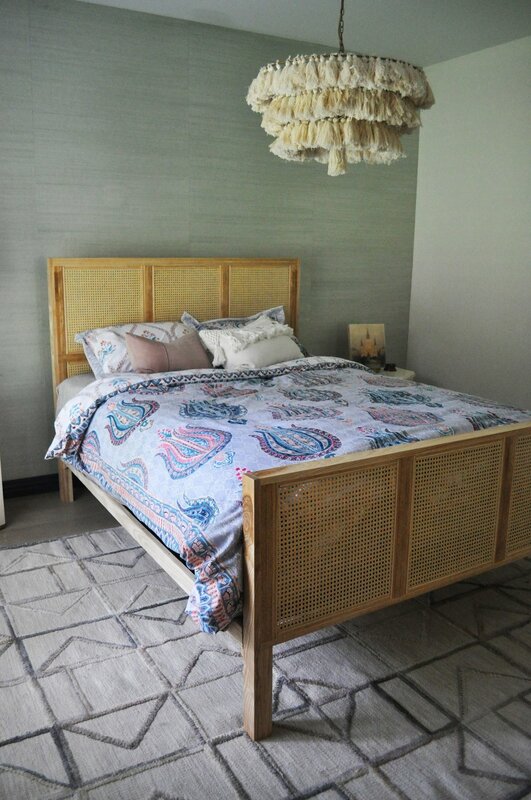 Our custom wicker bed designs are a perfect marriage between classic mid-century modern forms and South Pacific character, bringing a warm texture yet refined aesthetic to your home. Our rustic reclaimed tables are perfect for any home or commercial establishment. These sturdy and well made tables have a finish that holds up, and looks even better over time. An added plus: we can customize the table to fit your dining area! Elegant and interesting light fixtures are a staple for conveying your lifestyle. M&H specializes in creating custom lighting that fits your home's aesthetic or business personality. From understated minimalist fixtures, to eye catching statement pieces that will dazzle in your dining area, we work closely with clients and their vision. Starting with the best locally sourced raw materials, we use time tested traditional production methods paired with modern processes, to creating one of a kind unique pieces for your home or business. Nothing connects us more than gathering around an authentic table. Set in your home or business, our tables will inspire you to naturally come together! From Farmhouse Style to Modern Rustic, each one of our tables is hand built to showcase a smooth texture or weathered finish, giving you confidence that you made a solid choice for your specific environment.